Man posing in front of cabin; no identifying information. 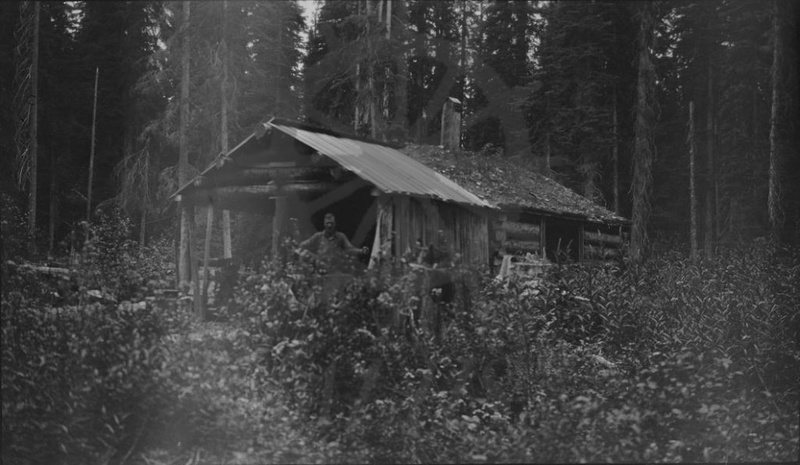 Likely Jack Slade posing in front of cabin near West Demars, ca. 1910s (the Slades arrived here in 1910).